THE PSYCHO ACOUSTIC PROJECT is a way of of converting images into soundscapes. This idea is play on personality, starsigns, and the relationship between face, name and character. Very New Age. 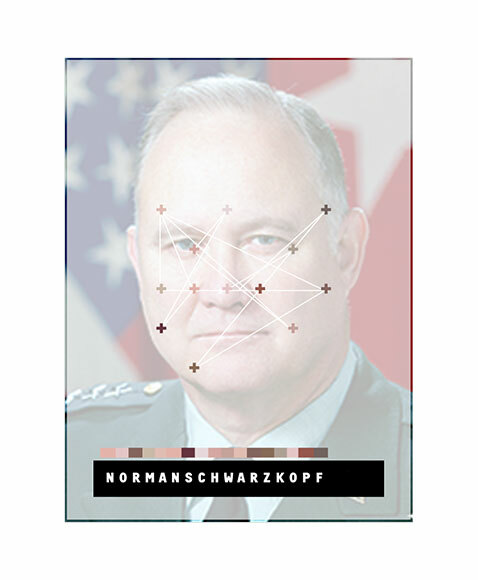 General Herbert Norman Schwarzkopf KCB (pronounced /ˈʃwɔrtskɒf/; born August 22, 1934), also known as "Stormin' Norman" and "The Bear", is a retired United States Army General who, while he served as Commander of U.S. Central Command, was commander of the Coalition Forces in the Persian Gulf War of 1991. 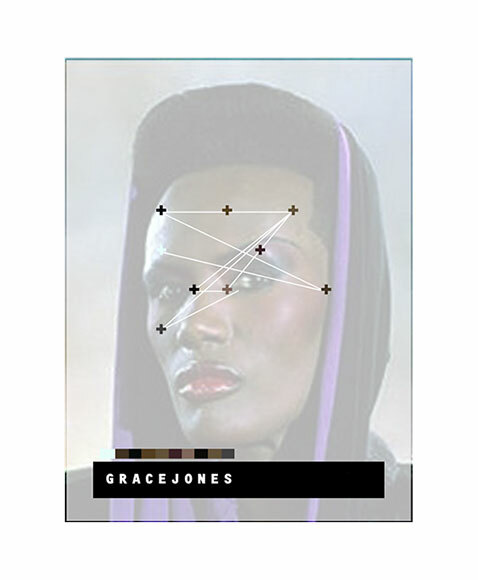 Grace Jones (born 19 May 1948) is a Jamaican-American singer, model and actress. Jones secured a record deal with Island Records in 1977, which resulted in a string of dance-club hits. In the late 1970s, she adapted the emerging electronic music style and adopted a severe, androgynous look with square-cut hair and angular, padded clothes. In 1981, her "Pull Up to the Bumper" spent seven weeks at #2 on the U.S. Hot Dance Club Play chart, and became a Top 5 single on the U.S. R&B chart. Jay Scott Greenspan (born September 23, 1959), better known by his professional name of Jason Alexander, is an American actor, writer, comedian, television director, producer, and singer. He is best known for his role as George Costanza on the television series Seinfeld, appearing in the sitcom from 1989 to 1998. He also has had an active career on the stage, appearing in several Broadway musicals including Jerome Robbins' Broadway in 1989, for which he won the Tony Award as Best Actor in a Musical. He appeared in the Los Angeles production of The Producers with Martin Short. He is the Artistic Director of "Reprise! Broadway's Best in Los Angeles," where he has directed several musicals. Alexander is also an avid poker player. Martha Stewart (née Kostyra; born August 3, 1941) is an American business magnate, media personality, author, magazine publisher. As founder of Martha Stewart Living Omnimedia, she has gained success through a variety of business ventures, encompassing publishing, broadcasting, and merchandising. Her syndicated talk show, Martha, is broadcast throughout the world, she has written numerous bestselling books, and she is the publisher of Martha Stewart Living magazine. In 2004, she was convicted of lying to investigators about a stock sale and served five months in a West Virginia federal prison. Although the media widely speculated that the situation would effectively be the end of her media empire,Stewart began a comeback campaign in 2005,with her company returning to profitability the following year. Steven Frederic Seagal(born April 10, 1952) is an American action film star, producer, writer, martial artist, guitarist and a reserve deputy sheriff. A 7th-dan black belt in Aikido, Seagal began his adult life as an Aikido instructor in Japan. He became the first foreigner to operate an Aikido Dojo in Japan.He later moved to the Los Angeles, California, area where he made his film debut in 1988 in Above the Law. By 1991, he had starred in three successful films, and would go on to achieve greater fame in Under Siege (1992), where he played Navy SEALs counter-terrorist expert Casey Ryback. However, his image became tarnished when both On Deadly Ground (1994, which he directed) and Under Siege 2: Dark Territory (1995) did poorly in theaters. During the later half of the 90s, he starred in three more theatrical films and a direct-to-video The Patriot. Aside from Exit Wounds (2001) and Half Past Dead (2002), his career shifted almost entirely to direct-to-video films (often low budget productions and shot in Europe or Asia). Between 1998 to 2009, he appeared in a total of 22 of these. At the age of 59, he finally returned to the big screen as Torrez in the 2010 film Machete. 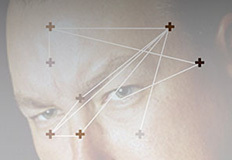 As of 2011, he's currently busy with the third season of his reality show Steven Seagal: Lawman. 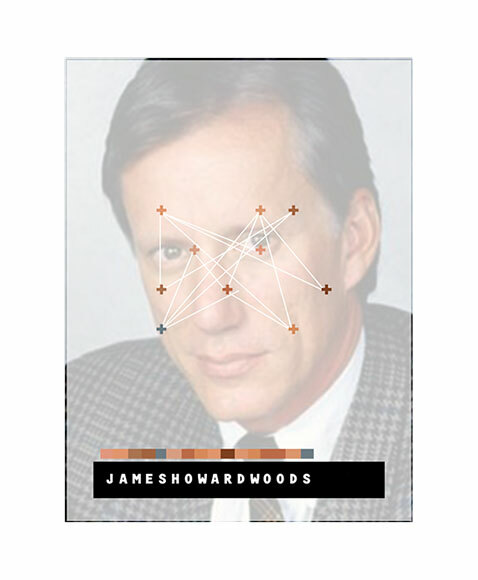 James Howard Woods (born April 18, 1947) is an American film, stage and television actor. Woods is known for starring in critically acclaimed films such as Once Upon a Time in America, Salvador, Nixon, Ghosts of Mississippi, Casino, and in the television legal drama Shark. He has won two Emmy Awards, and has gained two Academy Award nominations. He is also well known for appearing several times in the comedy animated series Family Guy, as well as the voice of Hades in Disney's Hercules. 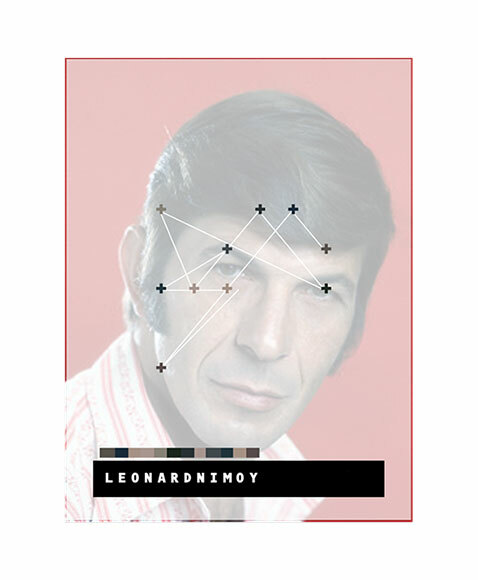 Leonard Simon Nimoy (nee-moy; born March 26, 1931) is an American actor, film director, poet, musician and photographer. Nimoy's most famous role is that of Spock in the original Star Trek series (1966–1969), multiple films, television and video game sequels. Nimoy began his career in his early twenties, teaching acting classes in Hollywood and making minor film and television appearances through the 1950s, as well as playing the title role in Kid Monk Baroni. 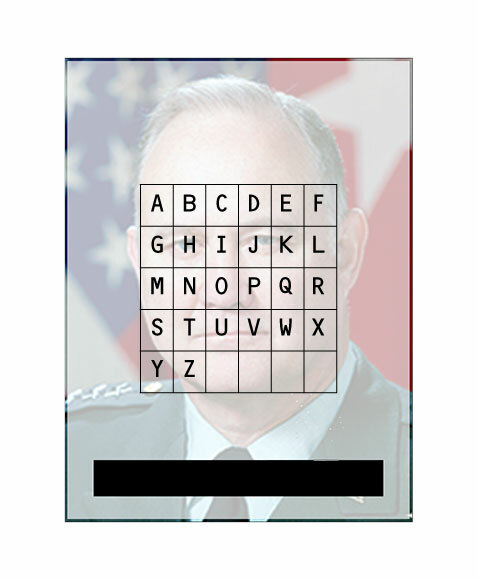 In 1953, he served in the United States Army. In 1965, he made his first appearance in the rejected Star Trek pilot, "The Cage", and would go on to play the character of Mr. Spock until 1969, followed by seven further feature films and a number of guest slots in various sequels. His character of Spock generated a significant cultural impact and three Emmy Award nominations; TV Guide named Spock one of the 50 greatest TV characters. Nimoy also had a recurring role in Mission: Impossible and a narrating role in Civilization IV, as well as several well-received stage appearances. The project has a fairly pragmatic approach with an astral result. 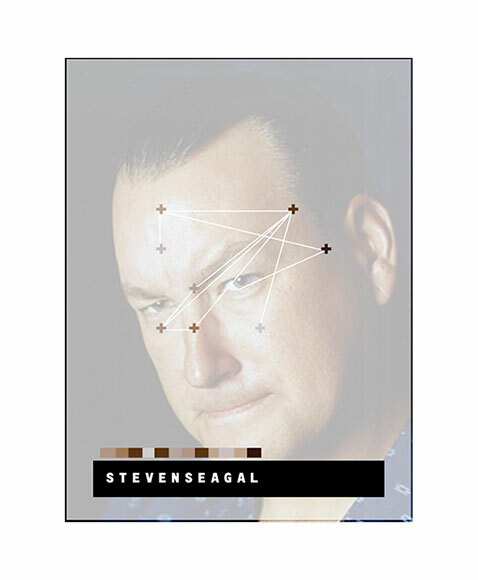 Overlaying a alphabetic grid over the facial area gives each face a unique constellation sequence, relative to the persons name. 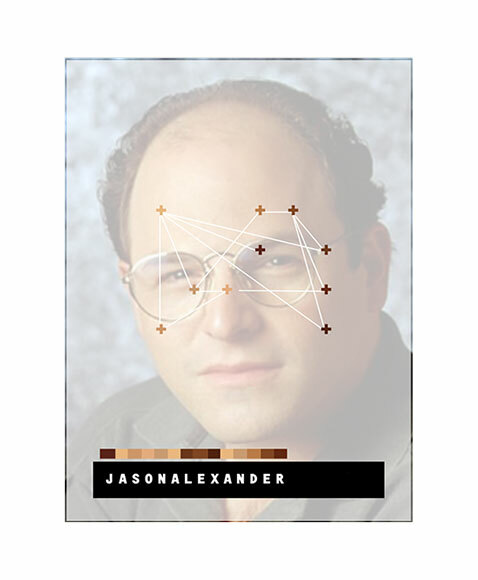 The coordinate from each of these locations gives a colour value, selected from the image at that location. The colour is converted to a 3 note chord. Playing the full name sequence produce a string of notes, unique for the portrait. Scroll down for a selection of faces.